Panhellenic recruitment is a five day mutual selection process designed to place women in sororities where they feel they best fit. You can find more information about formal recruitment by visiting the Panhellenic Council Website. As a sorority of women with unique interests and skills, we are bonded together by a common passion for sisterhood, scholarship and service. 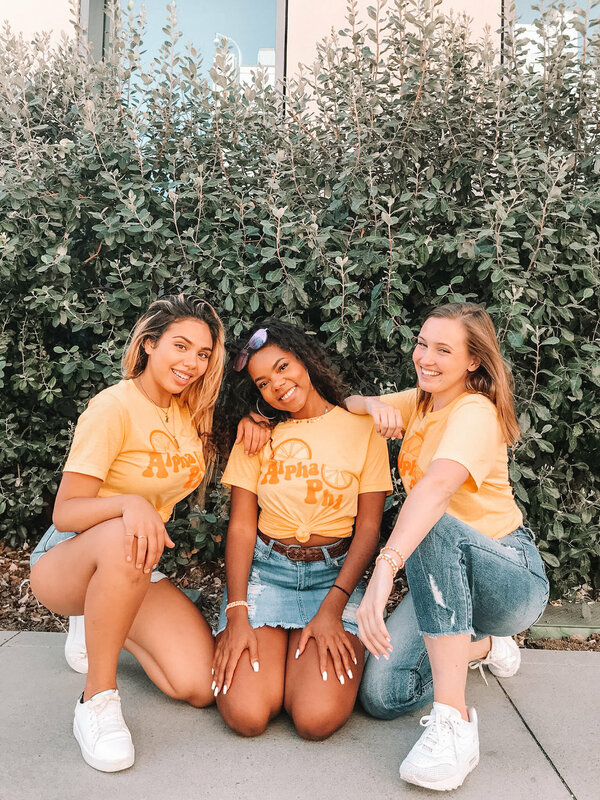 These three pillars are the foundation upon which we’ve built the Zeta Beta chapter of Alpha Phi, which was the first sorority to be founded at Loyola Marymount University. We are proud to be involved in countless activities and majors around campus. We also love attending all of the sisterhood and philanthropy events that bring us together as sisters. But what we look forward to most each year is the weekend we spend together that culminates in our bid night, where we get to welcome our new sisters into the organization we are so proud of!